If you are a parent or guardian of a teenager struggling with obesity, we understand that you want to do everything in your power to help him or her live a healthy, fulfilling life. If you’ve tried everything to help your teen lose weight, you may be asking, when is weight loss surgery for teens appropriate? This post seeks to answer that and other questions regarding teenage struggles with obesity. 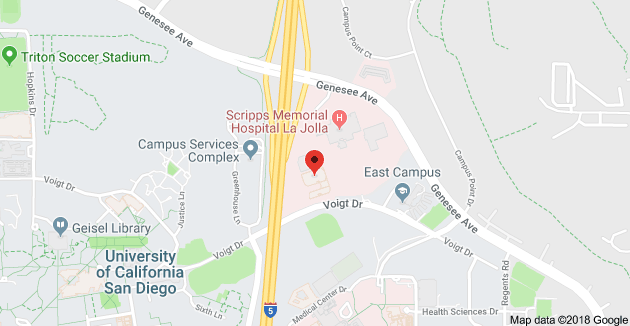 If you have further questions regarding bariatric surgery for your teenager, please give us a call at 858.457.4917. If your teenager is struggling with obesity, you know that it is an uphill battle. The teen years are such a difficult time for so many young people as they search for their identities. It’s a period in life when teens are trying to fit in, be like their peers, and build self-esteem. Being overweight to the point of obesity can have a major impact on their self-confidence, shutting them off from the rest of the world, and making them victims of bullying at a time when youth can be extremely cruel. In addition to the mental scars that come with teen obesity, there are major health risks that are involved. According to research, one out of every three teens are battling obesity in what is becoming an epidemic in America. They’re carrying so much extra weight that their BMI, otherwise known as the body mass index, is in the danger zone. That means being in the 95th percentile or higher. It’s a major threat to their well-being. If your child is facing a crisis with his or her weight, it may be time to consider bariatric surgery. What Risks are Involved with Teen Obesity? In the same way that obesity endangers the health of adults, it has a negative impact on teenagers as well. Young adults who are extremely overweight are unlikely to be active. Leading a sedentary lifestyle can only lead to serious problems down the line. When your child carries excessive weight around day in and day out, it places a major strain on your teenager’s body to the point that the joints are affected and your child can’t be mobile. One of the greatest threats is type 2 diabetes. Many adults who are obese struggle with this disease, but now it is striking our youth. If type 2 diabetes is not treated effectively, it can threaten your child’s life. When weight issues are dealt with, there is the possibility that type 2 diabetes can be eliminated or at least controlled. Otherwise, your teenager could face a lifetime of insulin treatments and potential complications. Asthma is another condition that often goes hand in hand with obesity. If your teen already suffered from asthma before, you can expect the condition to worsen. Otherwise, many obese teens develop asthma, finding it a struggle to breathe what with the extra weight placed on their respiratory systems, and increased risk of inflammation of the respiratory tract. Sleep apnea is more common among those who suffer from obesity, including teenagers, because of the added strain on their bodies. The condition can be so severe that they stop breathing many times throughout the night. Teen obesity is setting your child up for many health issues, including the potential for heart disease. Teen bariatric surgery may be the best solution to help your child lead a healthier, happier life. Weight loss surgery for teens, or adults for that matter, should never be taken lightly. It is generally considered the last resort when all other efforts have failed. Weight loss can be extremely difficult for some individuals. Your teen is not alone if diet and exercise has not been effective. It is a struggle to remain motivated when the numbers on the scale are so high. If your teen has fallen prey to obesity, serious lifestyle changes are in order. Your child may have a hard time grasping the fact that being severely overweight is a major problem. You should talk with your child’s physician, a nutritionist, and counselors first in your effort to create a plan of action. Losing weight means staying the course, eating healthy foods, using portion control, and leading an active lifestyle. It often means taking baby steps and making one, small change at a time. A team effort is key as well. Your entire family needs to get involved in your teenager’s weight loss journey. You need to work together to ensure that the right kinds of food are in the house. You will want to help your child to stay away from temptations that will sabotage efforts to lose that extra weight. You can also get involved in family activities that will get your teenager on the move. If you have made a sincere attempt to help your teenager, but obesity continues to be a downhill battle, you may need to consider weight loss surgery for your teen. This especially holds true if your teen is already facing a health crisis. You need to help your child to take control of his or her weight before it is too late. There are several options when considering weight loss surgery for teens. Before making any decisions, it is important to understand that bariatric surgery will not give your teenager an instant fix. It is going to take commitment before and after the procedure. Your teen will need to start making healthy choices and remain dedicated throughout the entire process. Bariatric surgery means making a choice concerning the best procedure for your teen. Your bariatric surgeon will help you to decide if your child should have a gastric bypass, in which a pouch is formed at the upper portion of the stomach to reduce its size, or a gastric band. The gastric band is the less drastic measure as an adjustable band is placed around the stomach to restrict how much food can be consumed at any given time. A gastric sleeve is the most involved type of surgery that actually involves the removal of most of the stomach. All that is left is a narrow sleeve, or tube, that reduces the size of the stomach. Each approach is intended to help your child eat less and in smaller portions, resulting in significant weight loss. Making good choices in eating habits and becoming active will help your child to find success. 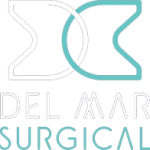 To learn more about the options for weight loss surgery for teens, contact Olde Del Mar Surgical today at 858.457.4917 to set up a consultation, or watch our online informational seminar.